New Delhi, 20 July 2017: The Government has decided to print personal details on passports in both Hindi and English languages. 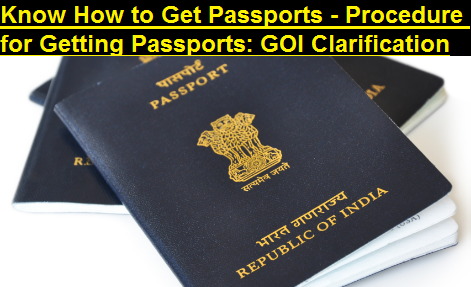 The pre-printed portion of the passport is already in Hindi and English languages. This information was given by GEN. (DR) V. K. SINGH (RETD) the Minister of State for Ministry of External Affairs., in written reply to a question in Rajya Sabha today.